The administration of hypotonic saline solution for maintenance intravenous fluid (IVF) therapy has been the standard of care, but recent evidence has shown this treatment to be associated with hyponatremia-related complications. The aim of this systematic review was to determine which IVF, i.e., a hypotonic or an isotonic saline solution, poses less risk for the development of hyponatremia among hospitalized children who require maintenance IVF therapy. Medline, Cochrane Library, LILACS, Current Controlled Trials, reference lists, and abstract proceedings were searched for randomized controlled trials (RCTs) comparing hypotonic and isotonic saline solutions for maintenance IVF therapy in hospitalized children. Two reviewers independently assessed all potentially relevant studies and subsequently extracted data and evaluated the methodological quality of the RCTs. Studies were then combined and analyzed using a random effects model. Eleven RCTs met the inclusion criteria. 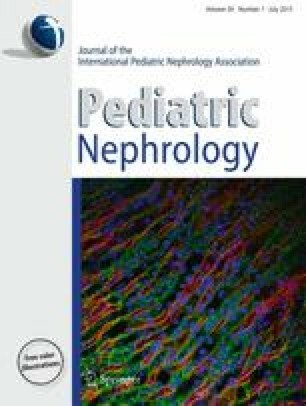 Our analysis of these 11 RCTs showed that among hospitalized children receiving maintenance IVF therapy, isotonic solutions significantly decreased the risk of developing hyponatremia [relative risk (RR) 0.50, 95 % confidence interval (CI) 0.40–0.62] without significantly increasing the risk for hypernatremia (RR 0.83, 95 % CI 0.41–1.67). Current evidence does not support the standard practice of prescribing a hypotonic saline solution as maintenance IVF therapy to hospitalized children. Although there is no single IVF composition ideal for all children, an isotonic saline solution does appear to be the safer choice when maintenance IVF therapy is used in the general pediatric population. We would like to thank Prof. Cynthia P. Cordero (Department of Clinical Epidemiology, College of Medicine, University of the Philippines Manila), for her assistance in doing the meta-analysis.